Tangled is one of the best films that Disney has ever made. But for some odd reason, they have decided to turn it into a television series. I can’t say I’m a huge fan of the idea – I thought the movie ended things perfectly and, as a viewer, I was quite willing to leave it there. But Disney has decided to make it a television series and at this point, there is no use arguing with them about it. It’s not all bad news, though. 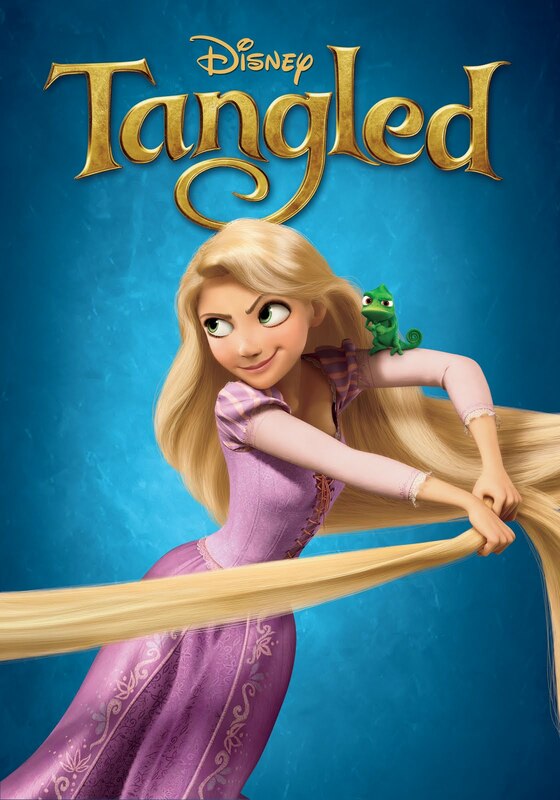 The series comes with some cute perks, especially its Tangled: Short Cuts. These short episodes fill in time between the series’ events and they have been a hoot so far. More are sure to come, but here are the ones that I have seen and enjoyed. As a bonus, the short Tangled Ever After is included at the bottom of the post. This entry was posted in Movie Reviews, TV Shows and tagged children's animated tv shows, Dark, Disney films, Disney movies, Disney Princesses, Disney TV Shows, Eugene Fitzherbert, Flynn Rider, Light, light and dark, Mandy Moore, Maximus, Mother Gothel, Movie Reviews, Pascal, Rapunzel, Steve Blum, Tangled, Tangled Ever After, Tangled Short Cuts, TV, TV series, TV Shows, Zachary Levi on July 7, 2017 by The Mithril Guardian. Happy St. Valentine’s Day, everybody! Enjoy the music! This entry was posted in Holidays and tagged A-ha, Belinda Carlilse, Can You Feel the Love Tonight?, Fixer Upper, Frozen, Holidays, How to Train Your Dragon 2, I See The Light, Katrina and the Waves, Leave A Light On, Pat Benatar, St. Valentine's Day, Take On Me, Tangled, The Dancing and the Dreaming, The Lion King, trolls, Walking on Sunshine, We Belong on February 14, 2017 by The Mithril Guardian. What Made the Red Man Red? This entry was posted in Music Reviews and tagged 101 Dalmatians, Anna, Beauty and the Beast, Brian Kilmeade, Captain Hook, Cinderella, Disney, Disney films, Disney movies, Disney Princesses, Disney/Pixar, Disney/Pixar films, Disneyland, Elsa, fairy tales, Flynn Rider, Fox News, Frozen, Kristoff, magic, music, Music Reviews, Music videos, Musicals, Olaf, Oliver & Co., Peter Pan, Rapunzel, Sleeping Beauty, songs from Frozen, Tangled, The Aristocats, The Lion King, The Little Mermaid, trolls, Walt Disney on June 30, 2016 by The Mithril Guardian. Day seven of Torture Very Special Agent Anthony DiNozzo Week is finally here!! Whew, what a relief! As much fun as this has been for me, Tony, I have to admit that I thought I would run out of material before the week was out! Some of my notes came as easily as the snap of my fingers. The rest were a lot of work. So I think that, unless you really tick me off, I’ll be able to forgo another Torture DiNozzo Week in the near future. Give us both a breather. So no more jokes about books or shortchanging me on food. Got it? Okay, let’s get to work. What do I mean by Light vs. Dark? This is a reference to Disney’s latest movie starring a princess: Tangled. In case you’re wondering, the film is Disney’s retelling of the Rapunzel fairy tale (and it’s about time they did it, too!). In the story we have Rapunzel living in her tower, which she has called home for nearly eighteen years. The woman keeping her here is Mother Gothel, a woman who has lived for centuries thanks to the magic of a special flower. Okay, I have to back up a bit here. See, the original fairy tale had Rapunzel’s mother craving a certain kind of vegetable when she became pregnant. This got her husband in trouble when he picked the plant from a witch’s garden (this witch was also named Mother Gothel). The witch later took the couple’s newborn baby girl as payment for the theft of the vegetable. In the movie, the queen is pregnant when she becomes ill and may die. In order to save her, the king sends his soldiers to find the magical flower that Mother Gothel secretly relies on to stay young and beautiful. Trust me, without that flower she looks, well – dead. Anyway, the flower is found and brought to the queen. Not only does the flower save Rapunzel’s mother, it attaches its magic to the yet to be born Rapunzel. This leads to Gothel kidnapping and raising Rapunzel as her own after she is born, so she can maintain her youth using the magic within Rapunzel. This is why she lets Rapunzel’s hair grow to the fairy tale’s bizarre length. I know. I’ve lost you. Give me a minute, okay? You see, the magic of the flower is in Rapunzel’s hair. So by the time Rapunzel is eighteen, her hair is seventy feet long! That IS a lot of brushing, DiNozzo. And no one knows that better than Rapunzel herself. One element of the movie that struck me is how the two women effect changes in the people they meet and places they go. This is because of either their inherent goodness or inherent wickedness. Everywhere Rapunzel goes there is light. When she sings (Tangled has some of the best song and dance routines I’ve seen in a Disney film in years) Rapunzel’s goodness literally lights up the room. While cleaning up the tower, Rapunzel sings a song detailing her life in the cramped rooms at the top of the tower, and when she opens the widows the rooms are flooded with sunlight. Later, when she meets her ‘Prince Charming,’ Flynn Rider, Rapunzel’s goodness and love changes his distrustful attitude. Flynn is not your typical knight in shining armor. He is, actually, a debonair thief. Or at least he considers himself debonair. (Watch the film, I’m not telling you what that means!) He ducks into Rapunzel’s tower to escape the authorities after a job, at which time she knocks him out and hides the article he stole. This is to make him take her on a trip to the kingdom to see a festival she has heard of but never witnessed. As the story progresses, Rapunzel’s innocence and goodness gradually wears away the hard shell of cynicism surrounding Flynn, making him a real Prince Charming. He’s definitely Disney’s most interesting beau of the current era. Another scene which highlights Rapunzel’s ability to bring out the good in people is when she and Flynn end up in a tavern full of crooks. These guys are all beefy, bearded men of dubious intent. (Flynn notes that one fellow has “blood in his mustache” and invites Rapunzel to take a look at it.) A couple of the tavern’s patrons are also missing an arm, a leg, or one of each. And every last ruffian has weapons coming out of his ears. But Rapunzel has less to fear from these men than Flynn does. Flynn’s thieving lifestyle has put a large price on his head. It’s a price everyone in the bar wants or needs to collect. A struggle ensues, with each gronk tugging at a limb of Flynn’s body in attempt to run off with him and turn him in for the reward. If Rapunzel hadn’t intervened when she did, there would have been no reason to pay anyone anything, because most of Flynn would have been gone! In saving Flynn, Rapunzel’s innocent pleas awaken the hidden good in the tavern patrons, so much so that they later help Flynn rescue her from Mother Gothel. Quite a change from when they were trying to turn him into a piñata, huh, Tony? In contrast to Rapunzel, Mother Gothel shows she is selfish, vain, greedy, and willing to do anything to benefit herself. Because of this she has the opposite effect on people and places that Rapunzel does. The evidence of this lies in her hiding the magic flower in the first place, and then kidnapping Rapunzel to keep the power to herself again. The way that Gothel convinces Rapunzel to stay in the tower before she leaves with Flynn is by frightening her with tales of how “dark and cruel” the outside world is supposed to be. This leaves Rapunzel cowering on the floor on some occasions, such as the time when Gothel tells Rapunzel (via a song) that she cannot go outside on her eighteenth birthday. Further proof is when she tries to scare Rapunzel out of falling in love with Flynn. For a time she succeeds, but Rapunzel has matured too much through her outdoor experience for the effect to last. So Gothel takes up the services of two of Flynn’s erstwhile sundry associates: the Stabbington brothers. These two men go from petty criminals to nasty bloodhounds while they are in Gothel’s employ. Also, whenever Gothel sings, the scenery dims and darkens. Where Rapunzel brings the sunlight of innocence and love, Gothel darkens the beauty of the natural world with her vanity and greed. The part of the movie that, ahem, ‘highlights’ this difference is the climax. Here Rapuzel apparently loses the magic of the flower, at which point Gothel ages at a fantastic rate. When she falls out the tower’s one window Gothel is screaming in horror at the ugliness caused by her age. Rapunzel, despite learning her true identity and Gothel’s intentions for her, still attempts to save the old woman from death. Hurt though she is by Gothel using her for her entire life, Rapunzel still attempts to help and heal the most terrible person she knows. This proves, in the end, that her goodness is stronger than Gothel’s evil. This distinction in personality makes Tangled one of the best Disney films to date. And as I said, it has been a long time since Disney made a movie that wow-ed me with its signature song and dance routines. The choreography for the tavern dance is especially dazzling. I haven’t seen anything that good since I last watched a musical from the ‘thirties, ‘forties, or ‘fifties. Another reason I harp on this feat is that Tangled is a completely computer generated film, making such a dance sequence no small accomplishment for the animators and writers! So for story and plain old ‘camera magic,’ I highly recommend you take a look at Tangled, Tony. You don’t really think I’d tell Gibbs, McGee, Ziva, Abby, Ducky, or Palmer about making you watch an animated film, do you? Did I tell them that you saw Brave? No, I did not. And as it is, I didn’t say you had to watch Tangled. I recommended it. There is no order from me saying that you have to watch it. I have to leave now. As of tonight, Torture Very Special Agent Anthony DiNozzo Week is officially over. This entry was posted in Movie Reviews and tagged children's movies, Dark Musicals, Flynn Rider, Light, Mother Gothel, Movie Reviews, Rapunzel, Song and Dance Routines, Tangled on August 24, 2013 by The Mithril Guardian.